If there’s one exciting thing about the changing seasons — besides the dwindling population of mosquitoes — it’s the approach of Halloween. And there’s no better way to get into the Halloween spirit than by reading the best horror novels of 2018. So grab yourself a pumpkin spice latte and nestle into your favorite reading chair, because we have the line-up to scare the wits out of you during the spookiest month of the year. Okay, so this isn’t a novel, it’s a comic, but it deserves a spot on this list — sometimes it feels like there is not enough love for this medium. The story follows Muslim New Yorker Aisha and her family. After moving to an apartment building where a terrible crime was committed, Aisha becomes constantly haunted by nightmares that feed off xenophobia. When they become too real, Aisha, along with her neighbors, must face the demons that haunt them. Spotlighting today’s social issues, this creepy story puts a modern twist on the haunted house horror trope. While the events of the Donner-Reed Party are not necessarily widely taught topics at schools, it remains one of the most bizarre tragedies in US history. In this retelling of the true story of pioneers trying to reach California in 1846, author Alma Katsu achieves an effect Stephen King described as “deeply, deeply disturbing.” What is traditionally a four- to six-month trip turns into an almost year-long disastrous journey filled with speculation, secrets, chaos, and murder. Katsu expertly weaves together fact and fiction, creating a suspenseful story where the characters not only face the hardships of the unforgiving weather, but also the distrust and corruption among their very own declining group of travelers. Agony House is an eye-catching graphic novel written by Cherie Priest and illustrated by Tara O’Connor. If you like creepy old houses, teenage protagonists, and want to read a great story with feminist undertones that deals with current social issues, then this is the one for you. Speaking of Stephen King, it’s really no surprise that his latest novel is one of the best horror stories of the year. After the horrific murder of an eleven-year-old boy in a small town, all fingers point to one single person: the little league coach. However, despite all the damning evidence, the culprit has an ironclad alibi. So what’s really going on? In this murder-mystery horror novel, King blurs the line between normal, everyday life and the supernatural, delivering an enthralling story full of character development, impossible outcomes, and eerie scenes. If you loved the Bill Hodges series, make sure you give this one a try. Told from the point of view of the three main characters, Sawkill Girls tells the story of the mysterious island of Sawkill Rock, where generations of girls have disappeared. Enter Valerie, Marion, and Zoey. Together, they endeavor to solve the disappearances while also dealing with their own personal and family problems. If you like to read stories with strong, feminist, and diverse characters, then you can’t miss this one. If you’re a fan of horror novels, then you’re probably no stranger to Tremblay, winner of the Bram Stoker Award. As such, the stakes were high for his novel — and he did not disappoint. "Your dads won’t want to let us in, Wen. But they have to. We need your help to save the world." Wen races to the house to warn her parents who bolt the doors in an attempt to keep their pursuers away. Their weekend getaway quickly turns into a tale of survival, death, and sacrifices for the entirety of the human race. 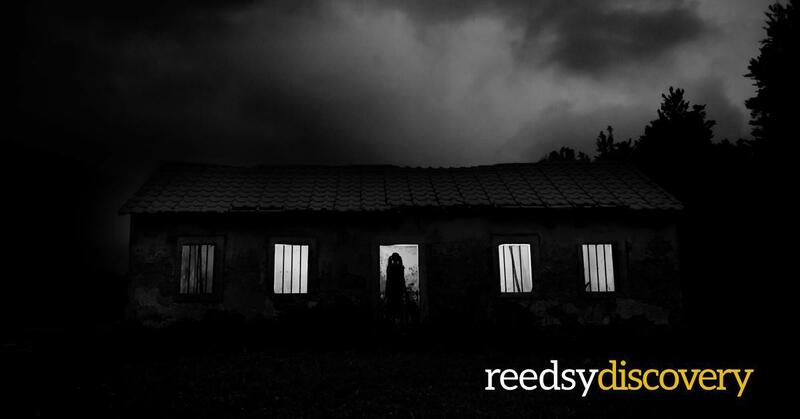 This home invasion horror story is a page-turner that will keep you on the edge of your seat. Ever had a nightmare of being buried alive? For Carol Evers, this is a very real concern. She suffers from a rare disorder that makes her lapse into a coma that lasts for days and closely resembles death. She can hear, but she can’t move or react to anything around her. Not many people know about her condition, so her greedy husband puts together a plan to literally put her in the ground. In a race against time, her ex-lover is the only person who can rescue her from a horrible death. If you like westerns, outlaws, and aren’t claustrophobic, then this is the book for you. In the near future, a new and scarier version of Alzheimer’s starts affecting people of all ages. It doesn’t just cause memory loss: it leaves them violent and eventually kills them. Dr. Gillian Ryan is determined to find a cure for this disease that has taken her husband and now threatens the life of her daughter. She is recruited to go to the space station to deal with similar symptoms among the crew — but what she finds there makes her doubt everything… even herself. Warning: This thrilling combination of mystery, horror, sci-fi, and suspense requires copious amounts of nail-biting to make it through. Through dark humor, Ahmed Saadawi brings to life a gripping story that depicts the horrors and death of U.S occupied Baghdad. What’s more, he combines it with a modern twist on Mary Shelley's Frankenstein. Hadi, a scavenger, collects human body parts that he then stitches together in a single corpse. While his original intent is to give the parts a proper burial, things take a turn for the worse when the corpse goes missing. Reports start coming in about a criminal that cannot be killed and seeks revenge for their deaths, even at the price of innocent victims. While it was originally published in 2013, this award-winning novel didn’t come to the attention of the English-speaking world until it was published in English earlier this year. Bonus points for holding up in translation! Inspired by an urban legend from the author’s hometown, The Hollow Tree follows the story of Rachel, a young woman who lost her hand in a tragic accident and is now plagued with constant nightmares of — you guessed it — a hollow tree. When her nightmares and phantom limb syndrome become too real, Rachel sets out to discover the truth behind Oak Mary — the legend of a woman’s corpse that was found inside a tree — and the three myths that have come to surround her story. This is a dark and intricately crafted novel full of supernatural elements and well-developed, three-dimensional characters that will keep you guessing well past the last page. What are your favorite horror novels? Did we miss your favorite book of the year? Let us know in the comments below!